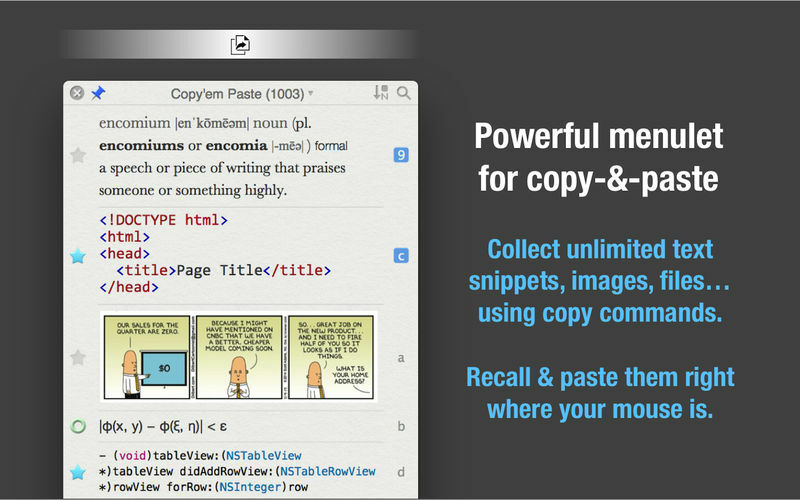 Copy'em Paste is a powerful clipboard manager for turbocharging your daily workflow. 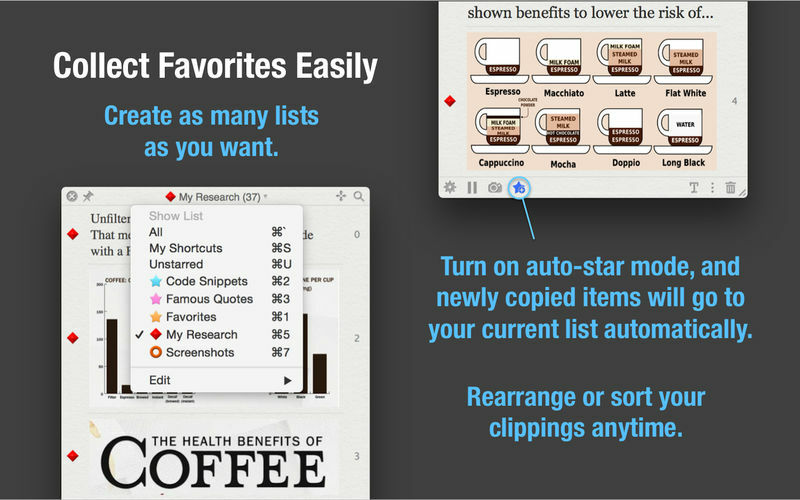 It records your clipboard history of copied text, images, links, and screenshots, etc., and lets you recall/paste them anytime, right at your fingertips. 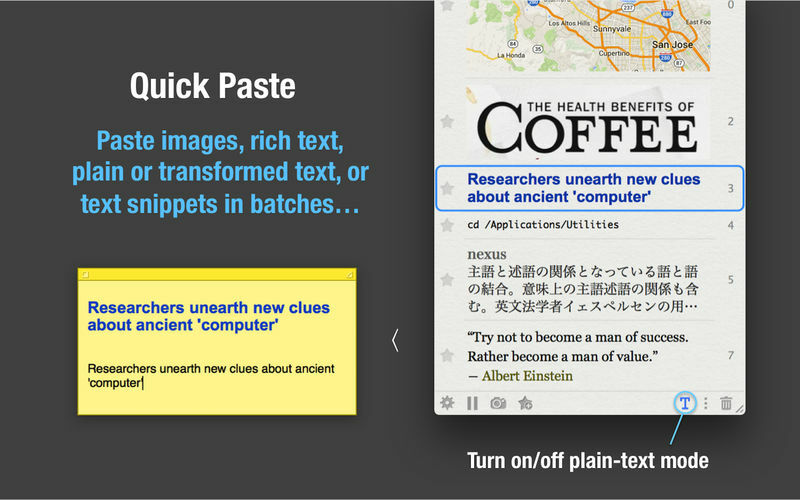 Use it to copy and paste items in batches (so minimizing switching between apps), capture screenshots and collect research data, store favorite clippings permanently, paste frequent snippets via keyboard shortcuts, strip text formats or transform text, organize clippings into different lists, sort and label them, look them up by keywords/types, preview and edit their text, and so on. All done with speed and reliability. It is a valuable time-saver that is both rich in features and easy to use! Sort clippings by drag-and-drop, creation dates, most-recently-used dates, and paste frequency, etc.